the lovely ellie snow of mint has opened up an etsy shop! i remember coming across ellie's design when i was in college - and i was so blown away! she is such a talented designer, and super sweet too. 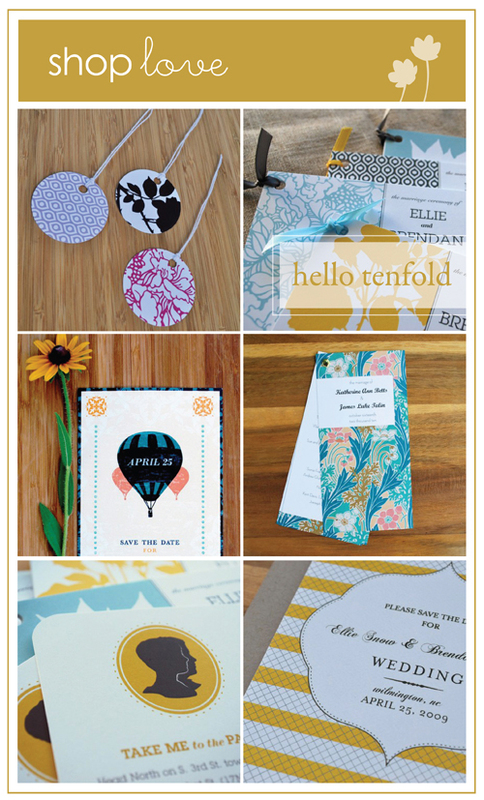 so now you can own some of her amazing designs - whether you get a custom invitation made or some gocco thank you cards. be sure to check out her shop + spread the word! ooh what a happy surprise, thank you so much danni! for the feature, and the nice things you said :) have a great weekend!